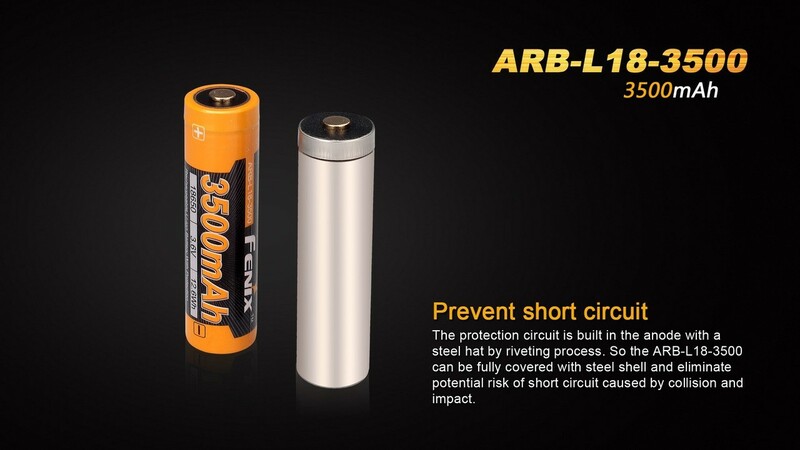 As you know, 18650 Lithium-Ion batteries are very powerful. Because of that, you should be aware of the safe handling of them. Don't look just at the price of the battery. With 18650 batteries, you truly "get what you pay for." If money is tight, it's best to purchase a lesser-priced flashlight rather than cutting corners on an 18650 battery. Most low-priced batteries are NOT protected, we would caution you against using those. Protected Lithium-Ion (Li-ion) batteries have a small electronic circuit integrated into the cell packaging. This circuit protects the battery against common dangers, such as overcharge, over discharge, short circuit/over current, and temperature. Protected batteries are safer to use in your devices. Protected batteries are less like to ignite and cause personal or property damage. PTC: Protect against over heating and indirectly over current. Will automatically reset. CID or Pressure Valve: Will disable the cell permanently if the pressure is too high in the cell (Can be due to over charge). PCB: Will protect against over discharge, over charge, and over current, depending on design. The PCB will reset automatically or when placed in a charger. The following images show you examples of the components of a safe, well-designed protected 18650 battery. Unprotected batteries do not have this electronic circuit in the cell packaging. Because of this, they can have more capacity and current capability than a protected cell. However, there is always a danger of over heating, short circuiting, or over discharging. Unprotected batteries are also much lower in price. IN SUMMARY: Users must decide whether they prefer protected cells which are safer to operate or accept the bigger responsibility and danger associated with unprotected cells. Most battery specialists will recommend you always use protected batteries.